We got to interview Sophie and Jake Rodgers, cousins from Chicago and Bloomington, Illinois. Sophie is in Israel with her brother, David, and Jake is here with his four siblings, Max, Cole, Payton and Jet. There are seven Rodgers on Young Judaea Birthright, and we couldn’t be more thrilled. Woah, you guys are a big family. How did you decide to all go on Birthright together? Jake: My siblings and I talked about going on a trip abroad together, and our parents had always told us about Birthright. They had encouraged us since we were younger. We had talked about it a year or two ago, and realized that if we waited until Payton and Jet (twins) were 18 we could all go on Birthright together. Once we started planning it, we started talking to our cousins, Sophie and David, about it as well because we thought it would be amazing to do it as a whole family. Sophie: I remember this past Thanksgiving being so special, because it’s rare that we all get to come together to do holidays. This year it was all of the Rodgers cousins celebrating together. At dinner, Jake started telling me about Birthright and the possibility of us all coming on Birthright, which I was so excited about. I had always wanted to do Birthright but had never imagined the possibility of us doing it as a family. Was it difficult to find a trip that worked for all of your schedules? You’re seven people with very busy lives, I’m sure. What was that like? Jake: Well, the twins just graduated high school, and Payton will be taking a gap year. The rest of us are in college at different schools across the country, so it was a little difficult to organize. The special part about Young Judaea was that they were so accommodating to our situation and helped us find a that worked for all of us. I didn’t know anything about the different trip organizers in the beginning, so I was just Googling them and seeing what they were all about. What stood out to me was that Young Judaea had a a Family and Friends specialty trip, and that’s why I chose them. Unfortunately, though, the planning was still difficult and their Family and Friends trips didn’t work with all of our schedules. So Young Judaea made a huge effort to find a good trip for all of us, made it really easy for us and ultimately found us the perfect dates. 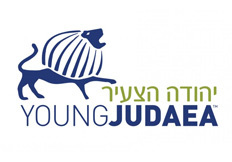 Sophie: Yeah, Young Judaea really comprised with us, and we’re so fortunate for that. I’m actually a camp counselor at a summer camp that I’ve been working at for five years, so I had to miss staff training to come on Birthright. When I explained to the camp that I was coming to Israel with my family, though, they were very understanding and much more lenient. They understood that this was a once in a lifetime opportunity, and it was absolutely worth missing the staff training for. Did you guys have any other concerns before coming on Birthright, besides making it work with your schedules? Jake: My parents were concerned about safety to a certain extent, but they were more excited and supportive than anything else. I think I was also a little worried about spending so much time with all of my siblings and my cousins, as well. We’re all close, but being together nonstop for these 10 days in a group setting could have been hard. But it hasn’t been at all- it’s been incredible for all of us. We also all identify differently in terms of Judaism, so we weren’t sure how religious or spiritual this trip would be. My concern was that it might make some of us more uncomfortable than others. But we’ve all really bonded over the fact that it’s been very comfortable expressing our different opinions, and it’s brought us closer in a lot of ways to be able to talk about our different beliefs. What have been your trip highlights so far? Jake: Actually, a major trip highlight has been getting to know each other better (my family members) and seeing all of us interact and socialize with others. For example, me and my siblings learned on this trip that Sophie and David’s mother is actually Catholic. We never knew that. So we’ve really had an opportunity to open up and learn things we’d never even thought to ask before. Sophie: For me, the Bedouin tent experience was one of the the most incredible days of my life. We went to the Dead Sea, rode camels, had an incredible meal, and slept in tents. The most amazing part of that day was star gazing in the desert. When I was laying there by myself looking up at the stars, I actually started laughing. I didn’t know how to react in such a moment. I was honestly in disbelief that here I was, in the middle of the desert in Israel, looking up at a clear sky full of stars. It was like nothing i had ever experienced. This is my first trip out of the country, and for this to be my first trip abroad and to be experiencing it with my family is unreal. In that moment, I just couldn’t believe that this was my life right now. Jake: I agree that the desert experience was unbelievable. Throughout this whole trip I’ve gathered the sense that Israeli people are very welcoming and warm. Everyone I meet tells me “welcome home, this is your home.” both Arabs and Jews here have been so warm and hospitable towards me, and that’s something that I won’t forget. Sophie: I completely agree with Jake. Everyone keeps reiterating that Israel is our home. I’m from America and have never been outside of America, and for someone to tell me that Israel is my home too, and that I am just as welcome here as anyone else, is such a beautiful feeling. Do you see yourselves coming back here? Sophie: I would love to come back here on an extended visit, and to show Israel to my parents and more loved ones. If I get married, I’d love to bring my spouse here, and show Israel as my home away from home. I’m so proud to now call this beautiful country my second home. Something special about Young Judaea is that they’ve done an incredible job at not making us feel like tourists but a real part of Israel. I’m really making an effort to try and immerse myself as much as I can, so that I can feel even more a part of this country. Final thoughts you want to share? Jake: I really want to thank all of the Israelis that we’ve met. Our tour guide is incredible and has taught us so much. The Israeli soldiers have also made such an impact on us and helped us in exploring our own personal interests in this country. I’ve been so impressed by all of them. Sophie: I completely agree. Every experience we’ve had here has pushed me to ask so many more questions, and i definitely think that my family has appreciated how educational this trip is.